Remember when I blogged about the KL dUCk and how excited I was about it? Obviously I thought the world of it, but little did I know it was going to be one of dUCk’s signature scarves. We became known for it and so many inspired versions are out in the market now, but we couldn’t be prouder because we started it first and people knew that. The patriotism that is being spread now is just amazing, and that’s pretty cool. 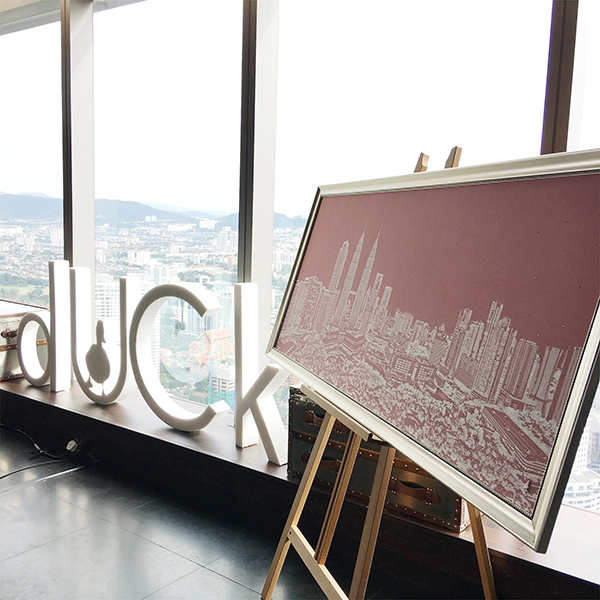 Since the debut, we’ve not only come up with another city skyline (Singapore), but we’ve also released other colours of the KL dUCk. But never pink. Pink is our bestselling colour, but I just felt like I needed to hold on to it… reserve pink for something special, whatever it could be, I had no idea yet at the time. When I got the call that dUCk was selected to be representing Malaysia to give the National Gift from Malaysia, it all fell into place. We wanted to showcase our KL dUCk of course, but we needed to elevate it. Swarovski wanted to work with us, and we thought it was the perfect fit, considering the National Costume this year is also about crystals and the glitz and glam. Today was the press launch and to be honest, I was pretty nervous. Unveiling something for the first time always makes me feel like puking in a corner somewhere, because you really don’t know what to expect from the general public. You can think the world of it, but you could be syok sendiri. At the end of the day, I’ve come to learn that there will always be mixed reviews in everything you do, so just do it anyway! 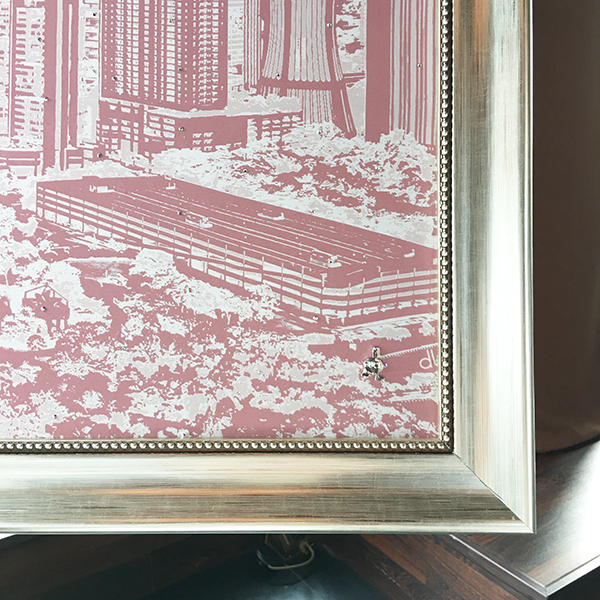 I chose not to see the scarf yet, but I told the team I wanted it to be framed and presented in that grandeur way. As soon as the frame came out in front of the media, I heard “Ahhhh” and “Ooohhhh” coming from the crowd. Immediately, my heart returned back to normal pace and I couldn’t help beaming with pride. Because honestly, I felt what they felt too. Guys, the scarf was just so beautiful. It could have been the ambiance at the press conference, but man… the light shone on the crystals and they just glistened as the scarf was being presented. I was just so so proud to be a part of this and I saw the dUCk team’s faces and they just looked so happy too. This dUCk has 500 Swarovski crystals, places one by one by hand, by our dUCk team. It took hours to do and it’s just so worth it. I wish I could show everyone in real life because pictures don’t do any justice to the shine and elegance the scarf exuded. Sigh. This scarf will now be taken to The Philippines as Malaysia’s National Gift to the host country of Miss Universe Pageant 2016. The world will now see it, and it will be auctioned off to the highest bidder. I have no idea who it could be and that just excites me even more. Would it be a celebrity? Would it be someone I know? Which country would he/she come from? Would it be my mom buying it cos she’s so proud? Haha. What makes it even more amazing is that the proceeds of this auction will be going to charity. I never thought dUCk would get here, to be honest. We started the KL dUCk out of pure love for our country, to promote patriotism in our own small way. Never did we expect anything in return from the country or any organization, really. But to be given this level of recognition from our country… my goodness, it’s a dream come true. I am feeling a wee bit emotional right now, thinking about this. But seriously, I never believed more than ever now that when you do things with your heart and not expect recognition from people, one day, you might get really really lucky. And even if you don’t, it doesn’t matter because that personal fulfillment is already so satisfying. Anything more will just be an extra. And that’s what this is for me; a very big extra today. And I have these people to thank, especially my Sofia who named us high school friends “The Ducks”. She also forced me to start my blog Proudduck and that was the beginning of everything, from FashionValet to The dUCk Group. 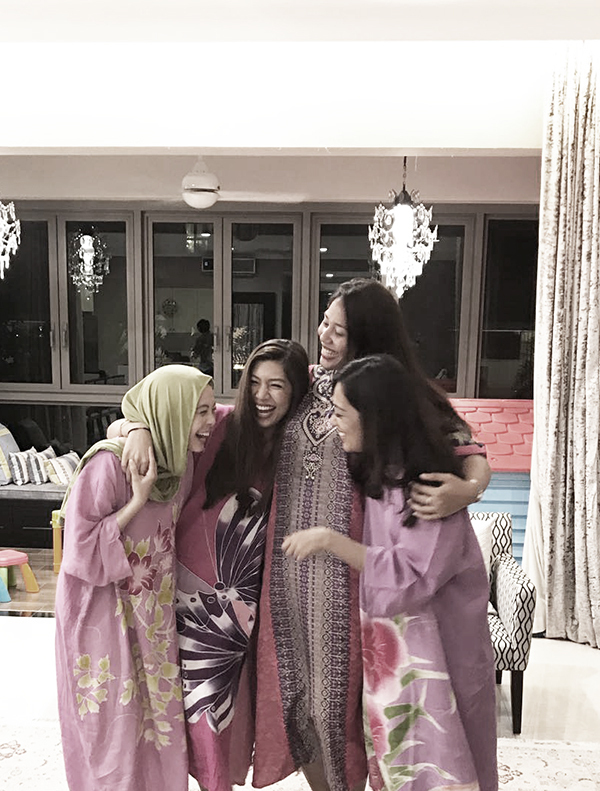 She came back recently for a holiday (she works in London as a hot-shot lawyer, never returning to KL anymore pfttt) and we had a sleepover kaftan party in my house. Ta-daaaa! Pot is in Denmark but we Facetimed her. You’ll see more on Love, Vivy Season 2 (we filmed the sleepover) but for now, let’s just say that I’ve never laughed that much with my girlfriends in a really long time. We miss each other so much, no matter where life takes us now. And it feels amazing that we never miss updating each other everyday on our phones, and even more amazing that when we’re together, it feels just right. MashaAllah that is one gorgeous scarf! it’s so beautiful V! Congrats! 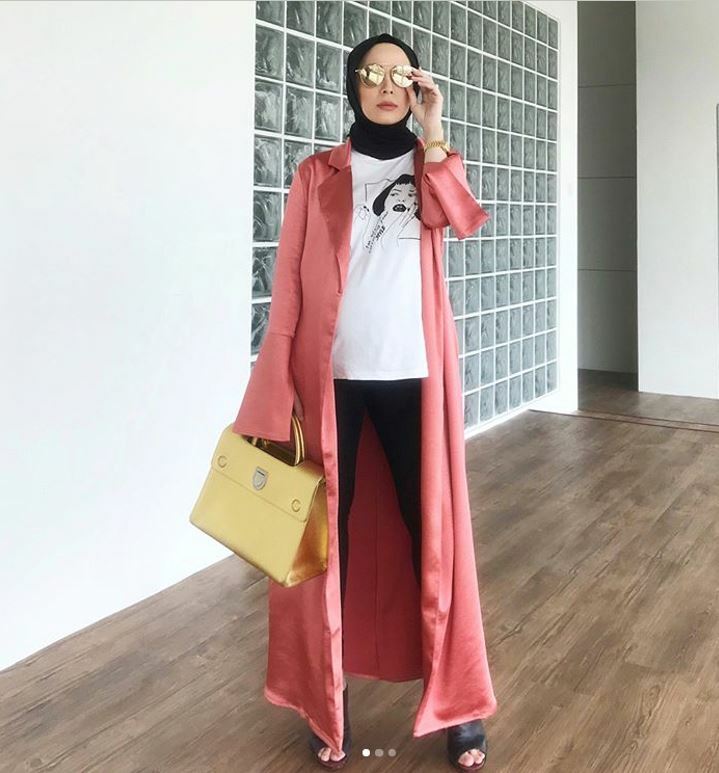 Congratulations vivy and duck team! Can’t wait for Love, Vivy Season 2! Congarulations Vivy and The Duck Group! how i wish , i could curi-curi masuk to Marini’s cause i was in that Tower too for meeting during that day. For that special KL Duck. i would suggest you release it during Federal Territory Day. Because that is the only day KL celebrated the forming of KL & as day KL being declared as capital city of Malaysia. (yeah i’m noted now that it also being celebrated with other Wilayah Persekutuan as well). 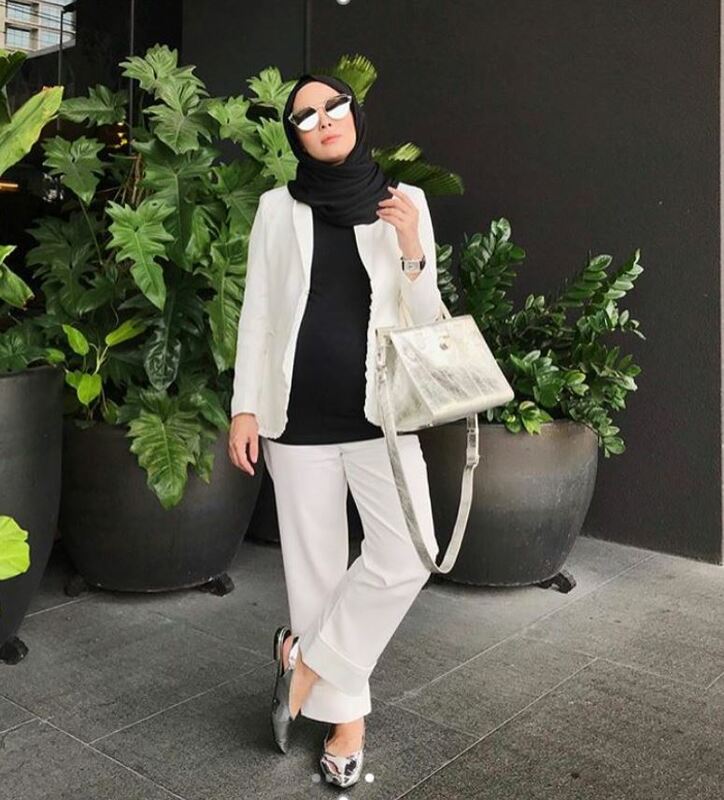 You’re such an inspiration to the other female entrepreneurs in Malaysia. Our site recently did an article on you too! MashAllah… Salam… from Philippines. You’re such an inspiration.